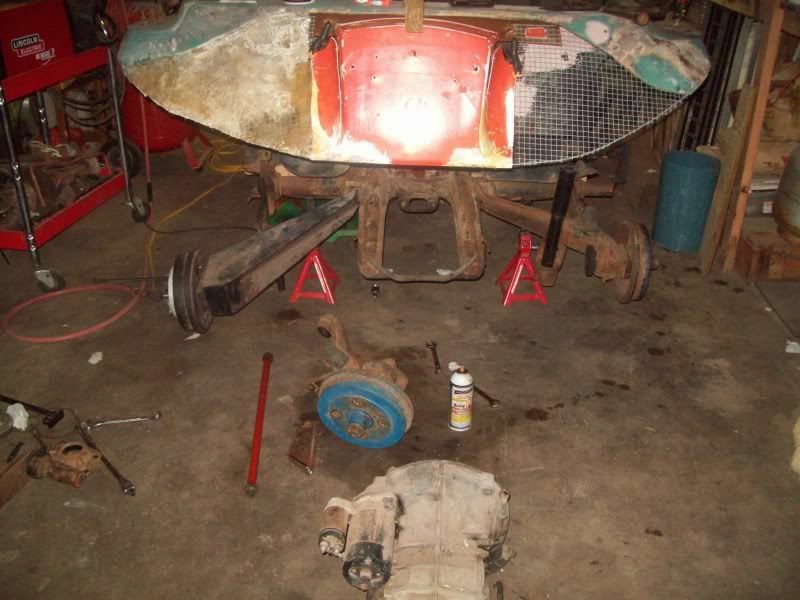 To start, you want to remove the rear tires and support the vehicle on jack stands to let the rear suspension hang. 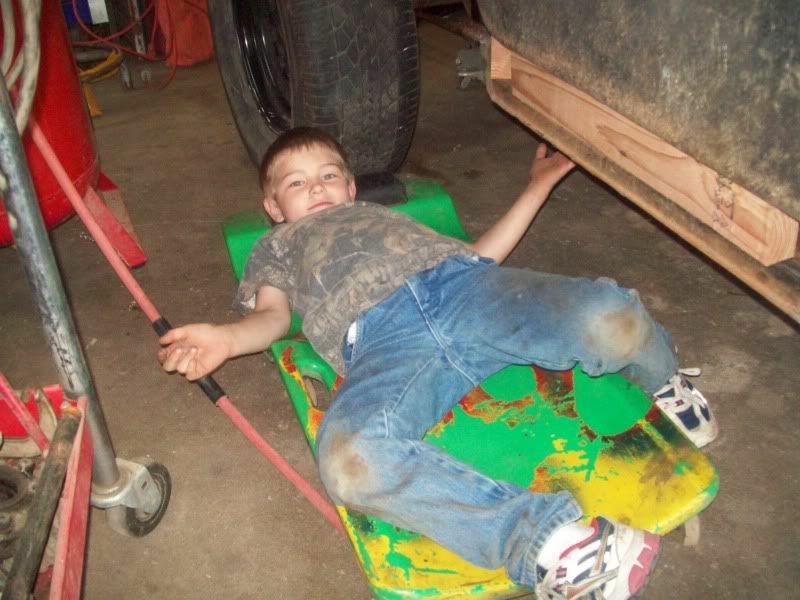 Then, you will need to raise the front of the vehicle and support it. You do this because you need to get the pans level. Any difference between the front and rear will throw the measurements off. This is important if you are lowering, raising, or just evening out the ride height of your car. Notice I said evening out the ride height? That also means that you need it level from right to left. 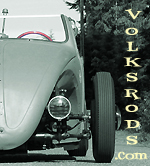 I say this because some people may not want to lower their bug, but over the years, the rear suspension has sagged to one side or the other. This process will take care of that. 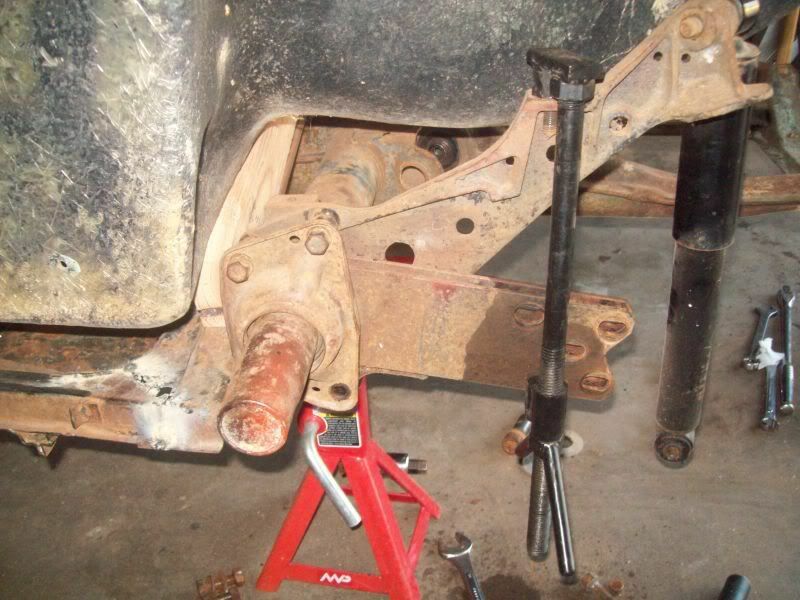 The second step is to remove the bolts that secure the spring plate to the trailing arm. NOTE: I will be replacing the stock 22mm x (roughly) 26.5” torsion bars, running conversion plates, and 2x3 rear arms ,so I removed the trailing arms totally. 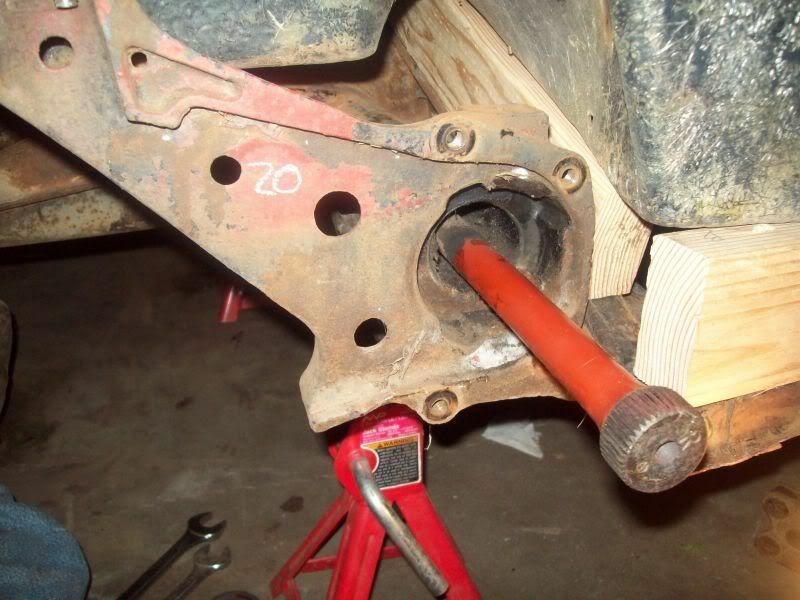 If you are going to run the stock torsion bars and trailing arms it is not necessary to remove them from the vehicle. 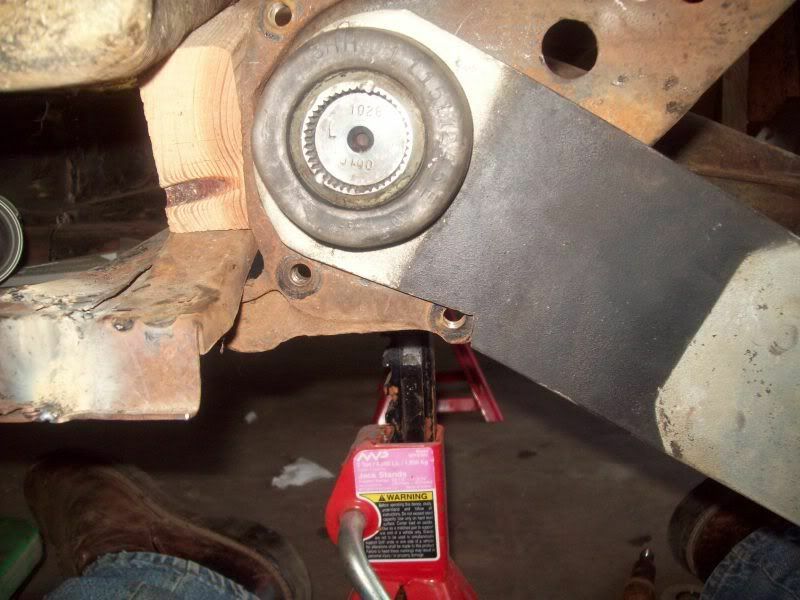 In order to remove the spring plate, you need to release the tension on the bars. There are a few ways to do this. One is with a floor jack and a chain, another is with bruit force, but since this is a “tutorial” I’m going to be using the tool designed for this purpose. This tool can be obtained from several places like Cip1 and Chirco, who SHOULD both be Coalition Vendors, but oh well. 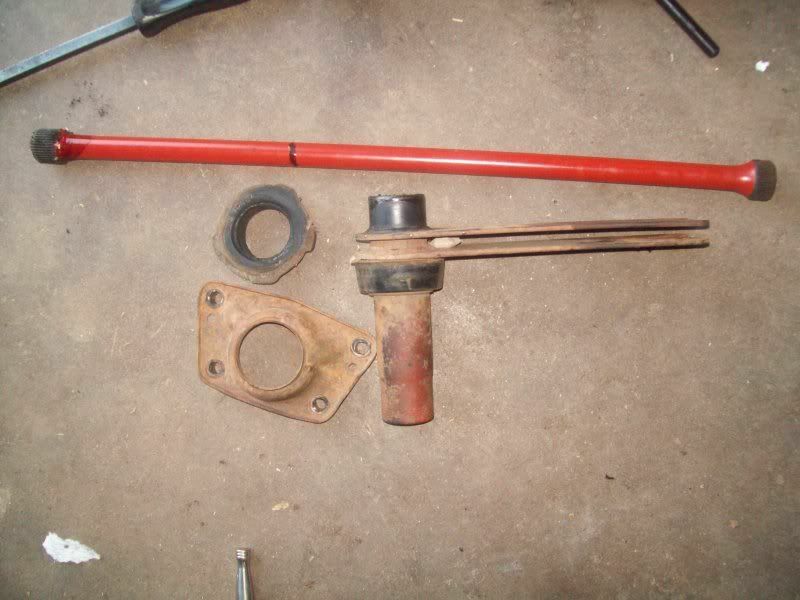 To install the tool, you simply place the top end over the body mount bolt near the top of the shock tower and the adjustable end under the spring plate. Then after tightening the tool just enough to move the spring plate off the bottom stop, you remove the bottom rear bolt, and loosen the remaining three. 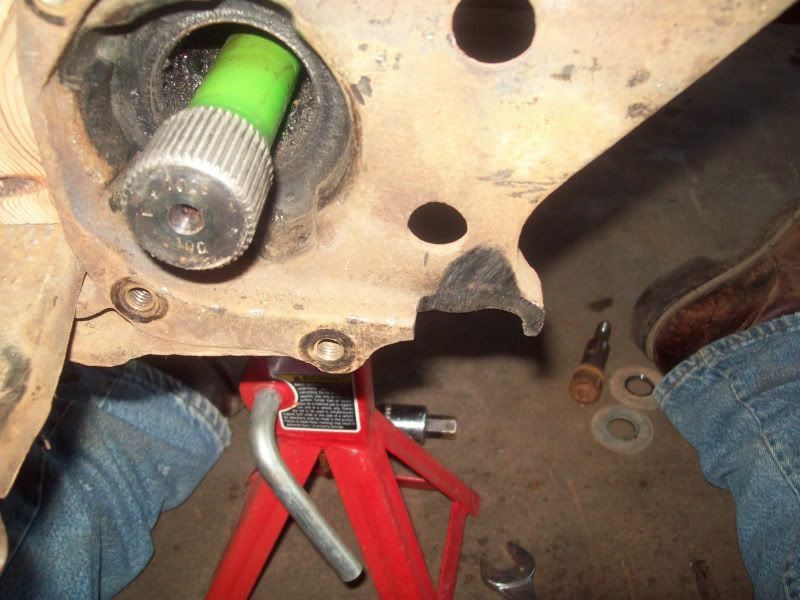 Using a large pry bar, you move the spring plate off the stop and begin to let the tension off the torsion bar by unscrewing the adjustable end of the tool. Once all the tension is released, you need to take a measurement of the angle of the spring plate and write it down. This is the stock height of your rear suspension. It is usually around 20*. With the measurement taken, you can remove the three remaining bolts, the cover, and the spring plate. NOTE: For those who are only adjusting the ride height, this is where you stop for now. 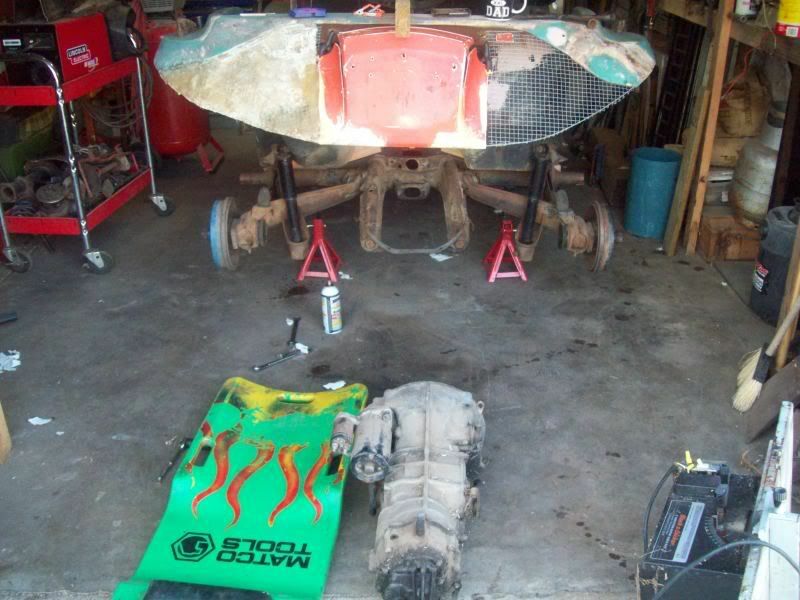 If you are replacing the torsion bars, weather it be to restore the factory ride quality, or if you want to run a tire larger than 31” tall, you need to remover the bars from the torsion housing. More than likely, these have never been removed and thus they will be stuck/rusted. You can wiggle the torsion bar side to side and up and down to help free it from the inner splines. 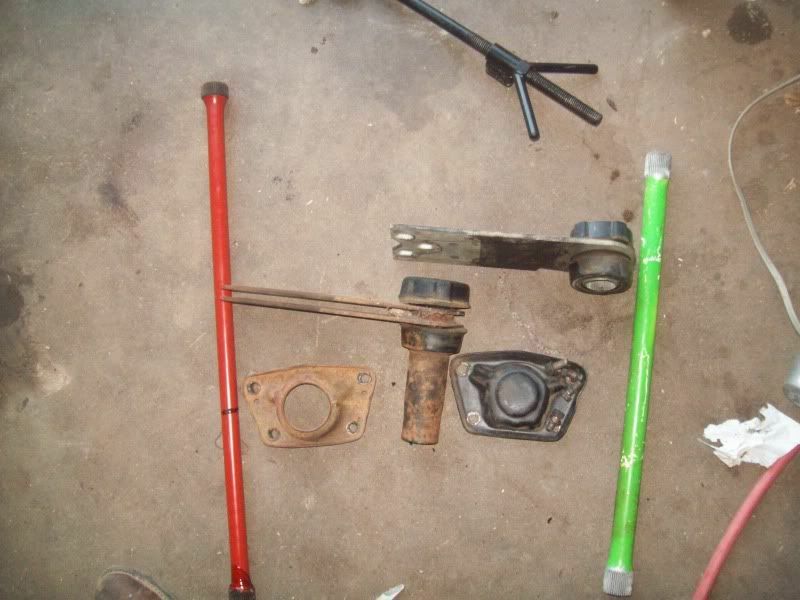 Here is what you will have removed; one torsion bar, one torsion cover, two rubber spring plate bushings (an inner and an outer) and the spring plate. 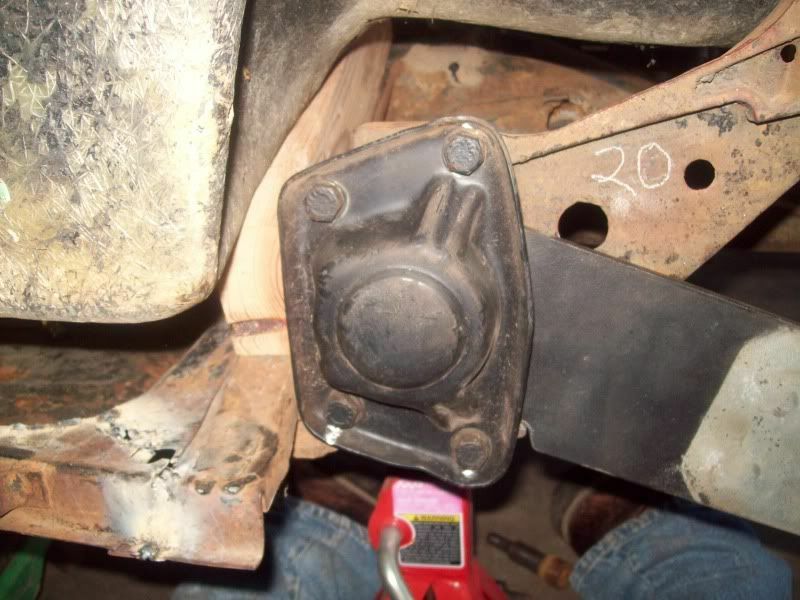 This is the pan from a 1970 Bug, so if you are doing this on a later model, you may not have the duel spring plates. I am not sure what years these came on, but I have not seen them any later than 1972. Here are the parts removed above compared to the parts I will be using. You can see that the new 28mm torsion bar is shorter and obviously has a larger diameter than the stock Bug torsion. The spring plate is also different. 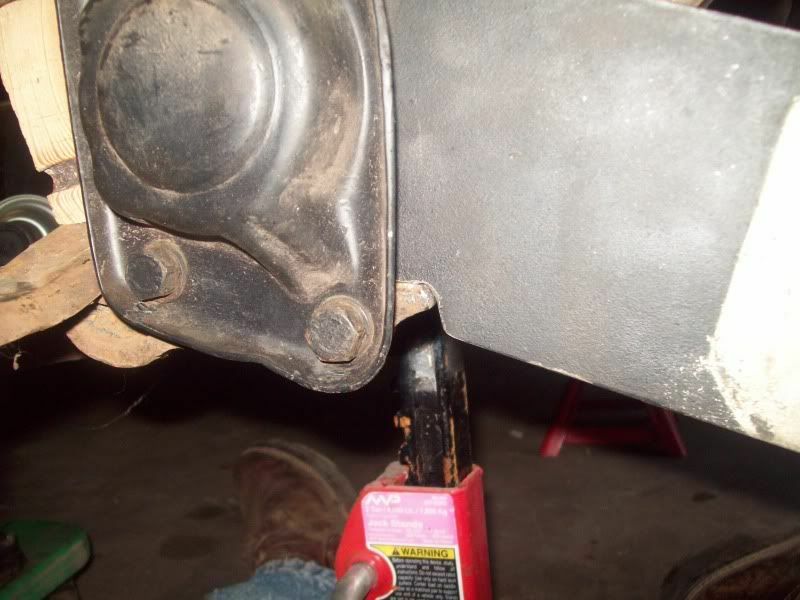 It doesn’t stick out past the spring plate since the torsion bars are also shorter. This will gain you about 4” of tire clearance. Now it is time to install the new torsion bars. They are marked LEFT and RIGHT. DO NOT GET THEM BACKWARD. If you do they will fail. They are designed to take a load only in one direction. 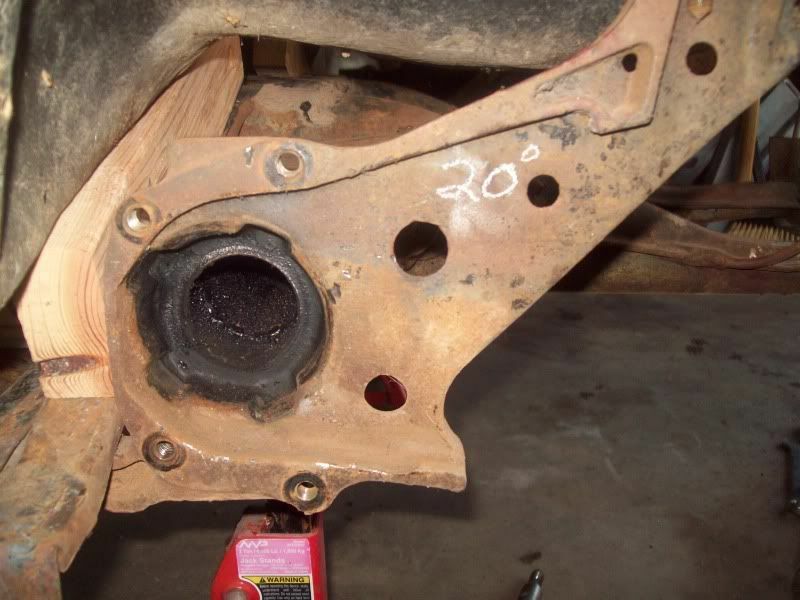 It is a good practice to coat the entire torsion bar with a thin covering of grease. This will prevent them from rusting. Since this is moch up and will come apart when it’s time for paint and powder coating, I just used anti-seize on the splined ends. NOTE: Here you can see that I have also notched the spring plate where is meets the stop. I did this because I will be lifting the rear of this vehicle. 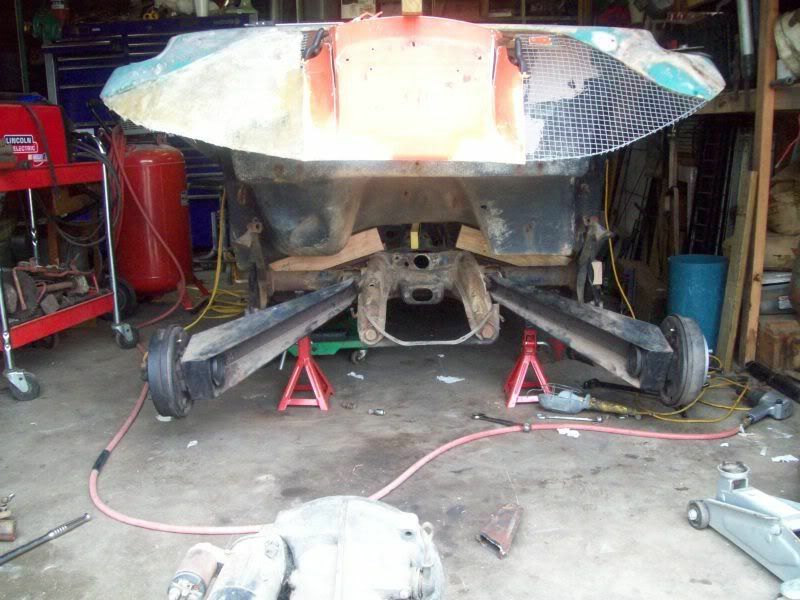 The removal of the material will allow me to rotate the torsion plate and increase the ground clearance. For those of you who are lowering your car, there is no need to perform this action. You will now install your arms and measure the angle of the spring plate. The torsion bars have 40 splines on the inner end and 44 on the outer end. This allows you to fine tune the setting. By rotating the spring plate and torsion bar down one inner “notch”, you change it’s angle by 9*. If you then move just the spring plate up one outer “notch”, you decrease the angle by 8.1*. This makes it possible for you to adjust the rear suspension by increments of 0.9* at a time. You will just have to keep trying it until you reach the same angle you had to begin with. From this point, you can raise of lower the ride height to soot you needs. I set my torsion up at the stock 20* angle. However, you recall the two notches? These combined with the 28mm Power Bars, and the 2x3 trailing arms will actually lift my vehicle considerably. The larger torsion bars will need more force to “twist” them. This combined with a lighter buggy body and longer arms, result in a 4” suspension lift using the same stock torsion setting. Here is a look at the notches and how the effect the height of the car, a shot of the stock (right) and adjusted (left) rear suspension, and a shot of the final product. In a nut shell, that's all there is to it. Just remember to measure, measure, measure and then write the measurements down so you don't forget them. Last edited by Ray-Dean; April 16th, 2010 at 01:52 PM. While researching the subject of changing the hieght of my IRS I found this information.